This week we finalised all remaining work for information and computers systems and have started talking about the first assignments in spreadsheets and installing and upgrading software. These two units have distinction criteria along side p1 so I will need to try very hard in class t make sure I achieve P1 and D1. Spread sheets is a very practical unit and involves a lot of work with excel which I think I will enjoy. 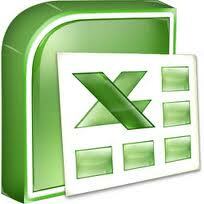 I have worked with excel before and I found it quite tricky but I am willing to give it another go. I may not excel at spreadsheets but ill give it a go.